Welcome to Kewpie Tattoo Studio! Kewpie Tattoo Studio is home to professional tattooist Jori Lakars (previously of Hott Mama Tattoos) and guests. Now in her 20th year of tattooing, Jori is originally from Chicago, USA and has been working in the greater Manchester area for over 10 years. She provides clients with a variety of custom tattoos, cover-ups and reworks in a range of styles. 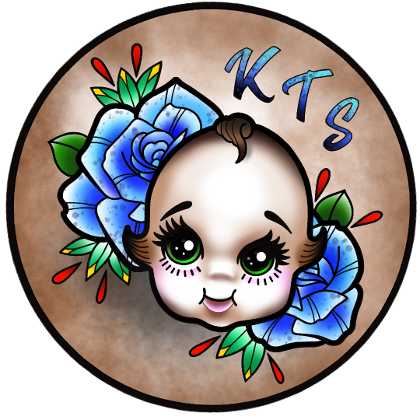 Kewpie Tattoo Studio is her first privately owned custom tattoo studio, where she looks forward to providing you with a comfortable, unique and hygienic environment where you can feel at home whilst getting your tattoo. Please feel free to browse our website and contact us if you have any questions, wish to discuss tattoo ideas or would just like to say hello.